Comparative anatomy and evolutionary biology is my background. For undergraduate art students, I teach comparative anatomy of mammals including humans. 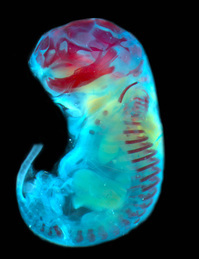 My research group works on various aspects of evolutionary embryology of the mammalian cranium and investigates the developmental changes behind morphological diversity and the common patterns across mammals. Keywords: Homology, Heterochrony, Heterotopy, Modularity, Genes, Musculoskeletal system, Chondrocranium. 1. Nojiri, T., Werneburg, I., Son, N.T., Tu, V.T., Sasaki, T., Maekawa, Y., Koyabu, D. Prenatal cranial bone development of Thomas’s horseshoe bat (Rhinolophus thomasi): with special reference to petrosal morphology. Journal of Morphology (2018). 2. 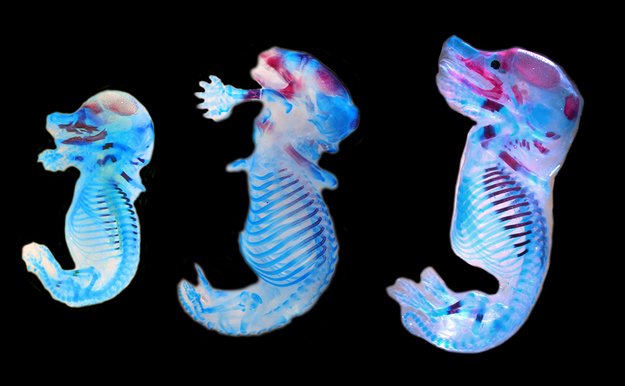 Koyabu, D. 3D atlas and comparative osteology of the middle ear ossicles among Eulipotyphla (Mammalia, Placentalia). Morphomuseum 3 (2)-e3 (2017). 3. Koyabu, D., Werneburg, I., Morimoto, N., Zollikofer, C.P.E., Forasiepi, A.M., Endo, H., Kimura, J., Ohdachi, S.D., Son, N.T., Sánchez-Villagra, M.R. 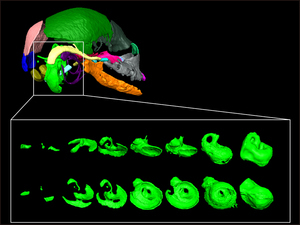 Mammalian skull heterochrony reveals modular evolution and a link between cranial development and brain size. Nature Communications 5: 365 (2014). 4. Koyabu, D., Maier, W., Sánchez-Villagra, M.R. 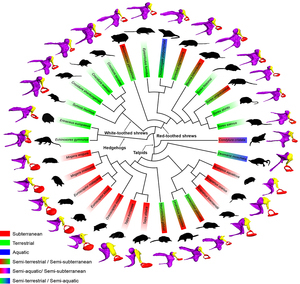 Paleontological and developmental evidence resolve the homology and dual embryonic origin of a mammalian skull bone, the interparietal. PNAS 109 (35): 14075-14080 (2012). 5. Koyabu, D., Endo, H., Mitgutsch, C., Suwa, G., Catania, K.C., Zollikofer, C.P.E, Oda, S., Koyasu, K., Ando, A., Sánchez-Villagra, M.R. 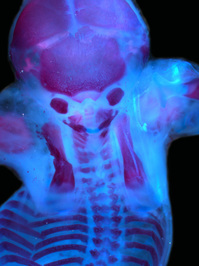 Heterochrony and developmental modularity of cranial osteogenesis in lipotyphlan mammals. 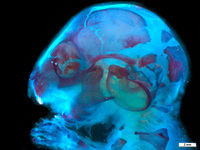 EvoDevo 2: 21 (2011).